A few years ago a man named Norm Wakefield said something I’ll never forget. 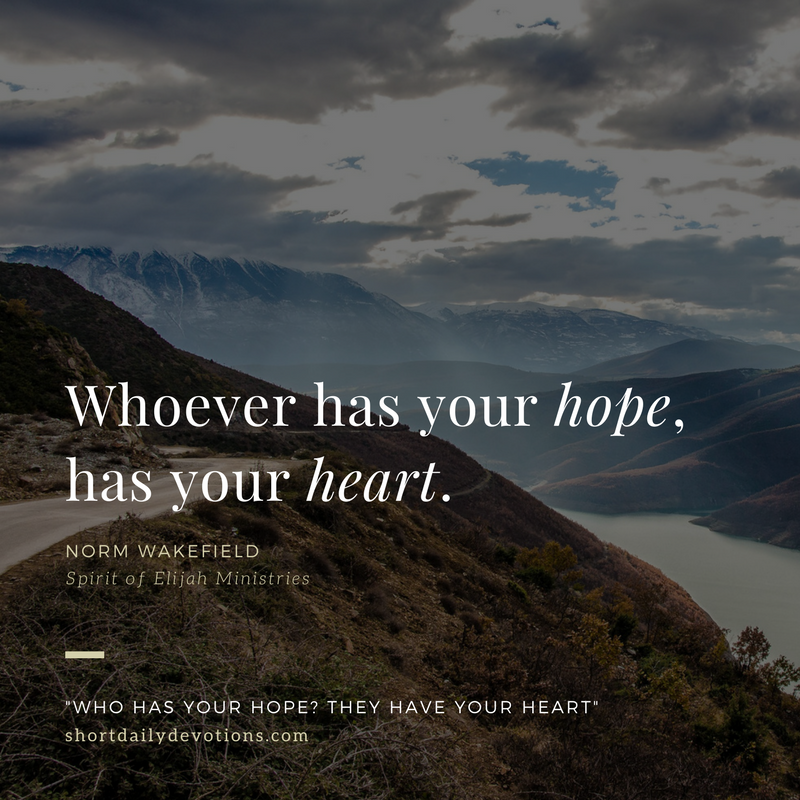 He was asking where I placed my hope—my real hope. He wasn’t going to let me off the hook with a cookie-cutter answer. We dug deeper. And as I was honest, I realized how much hope I placed in things other than God. I desperately wanted financial security. I was obsessed with people’s opinions of me. Put bluntly, I had an idol problem. What he meant was that wherever I trusted for ultimate happiness and satisfaction is where I placed my hope. And whatever I placed my hope in, had true control of my heart. Today’s verses are a prayer from David—and he’s expressing this same sentiment when he asks God to “unite” his heart to fear God’s name. David, like so many of us, was a man who struggled with a divided heart. Even though he was a man after God’s own heart (1 Samuel 13:14; Acts 13:22) his affections wandered. That’s the crux, isn’t it? Every Sunday we sing songs that agree with verse 10: “For you are great and do wondrous things; you alone are God.” Then on Monday our hope wanders from the one who is “God alone” and trusts in so many other things. So many idols.